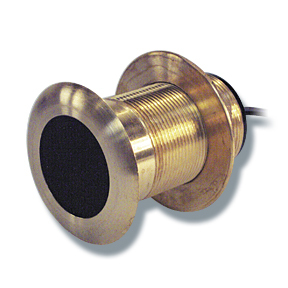 The B117 features Airmar’s 50/200 kHz, dual-frequency, single-ceramic element in a low-profile housing. Plastic and bronze models are available to accommodate all hull types. The nearly flush design minimizes drag with only 5 mm (2/10”) extending outside the hull. The B117 features Airmar’s 50/200 kHz, dual-frequency, single-ceramic element in a low-profile hous..